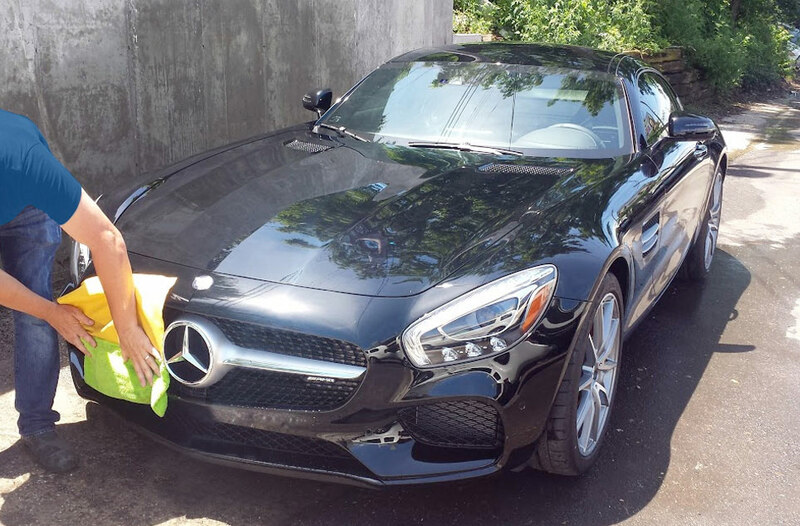 Signature Hand Washing | Shamerrific Shine – KANSAS CITY’S PREMIERE AUTO DETAILING SOLUTION! Your vehicle will gleam after our signature two-step hand car wash. Far superior to automated bristle car washes, the hand wash both cleans the places an automated car wash can’t and protects it from the damage that bristles can cause. The bristle rollers used by most car washes collect dirt and debris as they clean vehicles, essentially taking it from one vehicle and forcefully placing it on to the next. This can damage the clear coat and doesn’t fully clean your vehicle. It takes time and attention to properly clean a vehicle, and that’s Shamerrific Shine’s specialty. We use the patented Shamerrific and a mere gallon of water to wash, wipe down and clean your vehicle. For a standard wash, we use no chemicals, just our patented technology and attention to detail. Bugs and other debris are removed. Wheels and wheel wells are thoroughly cleaned as well. Your vehicle has never had a wash like this unless you’ve already been to Shamerrific Shine.